**Registration is now closed for this event. 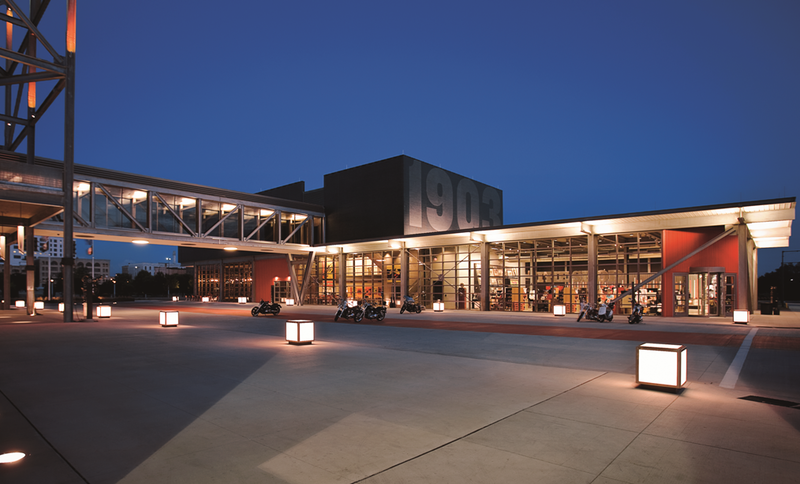 Join your friends from TDMAW for dinner and a Behind-the-Scenes tour of Milwaukee's Harley-Davidson Museum. Dive into the depths of the museum's collection and follow your tour guide into areas off limits to general admission ticket holders. Explore the Museum Archives and Motorcycle Storage Room! * TDMAW members, member employees, sponsors, partners and significant others are invited to attend - We encourage you to bring a guest! Vegetarian option: Pumpkin & Butternut Squash Ravioli - Parmesan, fried sage, toasted pine nuts and oven-roasted tomatoes, with brown butter sauce. Thank you Born to Be Wild Sponsors: Federated Insurance and Morris Midwest! Thank you to our Easy Rider Tour Sponsor: eTek Tool & Manufacturing! Thank you to our HOG Drink Ticket Sponsors: Wisconsin Engraving Co & Citizens Bank! Registration includes two drink tickets. Interested in helping to sponsor this event? Find details here.